On May 1, 1960, the pilot of an American U-2 spyplane was shot down while flying though Soviet airspace. 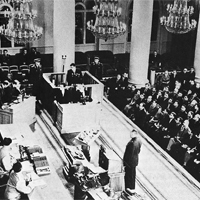 The fallout over the incident resulted in the cancellation of the Paris Summit scheduled to discuss the ongoing situation in divided Germany, the possibility of an arms control or test ban treaty, and the relaxation of tensions between the USSR and the United States. As early as 1955, officials in both Moscow and Washington had grown concerned about the relative nuclear capabilities of the Soviet Union and the United States. Given the threat that the nuclear arms race posed to national security, leadership in both countries placed a priority on information about the other side’s progress. At a conference in Geneva in 1955, U.S. President Dwight Eisenhower proposed an “open skies” plan, in which each country would be permitted to make overflights of the other to conduct mutual aerial inspections of nuclear facilities and launchpads. Soviet leader Nikita Khrushchev refused the proposal, continuing the established Soviet policy of rejecting international inspections in any form. Meanwhile, Khrushchev also claimed that the Soviet Union had developed numerous intercontinental ballistic missiles, which only motivated the United States Government to look for new ways to verify developments in the Soviet nuclear program. The U-2 spyplane program grew out of these concerns. The U-2 was a special high-altitude plane that flew at a ceiling of 70,000 feet. Because it flew at such heights, it was thought it would be possible for the planes to pass over the Soviet Union undetected by radar on the ground. It was important that the overflights be undetected, because normally an unauthorized invasion of another country’s airspace was considered an act of war. Operated through the U.S. Central Intelligence Agency (CIA), the first flight over Moscow and Leningrad (St. Petersburg) took place on July 4, 1956. The flights continued intermittently over the next four years. It was later revealed that the Soviets did pick up the flights on radar, and the United States lost a plane over the Soviet Union in 1959, but as long as there was no definitive proof connecting the flights to the United States there was no advantage for the Soviets to raise the issue publicly lest it draw attention to the Soviet inability to shoot down the offending flights. On May 1, 1960, the situation changed. 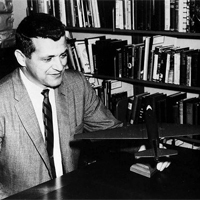 On the eve of the Paris Summit and during the May Day holiday, CIA pilot Francis Gary Powers took off from a base in Pakistan bound for another base in Norway, with his planned flight path transgressing 2,900 miles of Soviet airspace. Near the city of Sverdlovsk Oblast in the Ural Mountains, Powers' plane was shot down by a Soviet surface-to-air missile. Powers ejected and parachuted safely to the ground, where he was captured by the KGB, and held for interrogation. 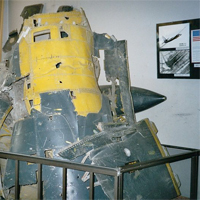 The plane crashed, but parts of it were recovered and placed on public display in Moscow as evidence of American deceit. Although the capture of Powers provided the Soviets the concrete proof that the United States had been conducting the flights, it was not immediately clear what the impact would be for the Paris Summit. At first, and before they had confirmation that Powers had survived, U.S. officials claimed that the U-2 had been conducting a routine weather flight but experienced a malfunction of its oxygen delivery system that had caused the pilot to black out and drift over Soviet air space. On May 7, however, Khrushchev revealed that Powers was alive and uninjured, and clearly had not blacked out from oxygen deprivation. Moreover, the Soviets recovered the plane mostly intact, including the aerial camera system. It became instantly apparent that the weather survey story was a cover-up for a spy program. Khrushchev had publicly committed himself to the idea of “peaceful coexistence” with the United States and the pursuit of détente, so from his perspective, if U.S. President Dwight Eisenhower denied any knowledge of the spy program and the United States apologized, he would have continued the summit. Spying was common, and of course, the Soviet Union had its own agents reporting on developments in the United States. Eisenhower, however, refused to issue a formal apology to the Soviet Union; he had taken a great personal interest in the spyplane program, and considered the violation of Soviet airspace and the reconnaissance of Soviet nuclear facilities serious enough to personally approve each flight. On May 11, Eisenhower finally acknowledged his full awareness of the entire program and of the Powers flight in particular. Moreover, he explained that in the absence of an “open skies” agreement, such spy flights were a necessary element in maintaining national defense, and that he planned to continue them. Eisenhower’s statement left Khrushchev in a difficult position. If he did nothing, that would be tantamount to acknowledging implicitly the right of the United States to spy. But any action Khrushchev did take had the potential to scuttle the upcoming conference and his larger plans for a Soviet-American détente. Ultimately, he demanded that Eisenhower apologize for the past flights and promise to discontinue them as a precondition for entering into the planned negotiations on Germany. Eisenhower’s refusal led the Soviet delegation to leave Paris just as the summit was about to begin. After extensive questioning by the KGB, Powers was convicted of spying and sentenced to three years in prison and seven more of hard labor. In February, 1962, however, he and a detained American student were traded for a captured Soviet spy, Rudolf Abel. Although Eisenhower refused to end the U-2 program, it was quickly overtaken by new technology, as satellite images replaced aerial photographs. For his part, Khrushchev abandoned his attempts to cooperate with Eisenhower, opting instead to wait for the inauguration of the new U.S. President, John F. Kennedy, elected to office in November, 1960.